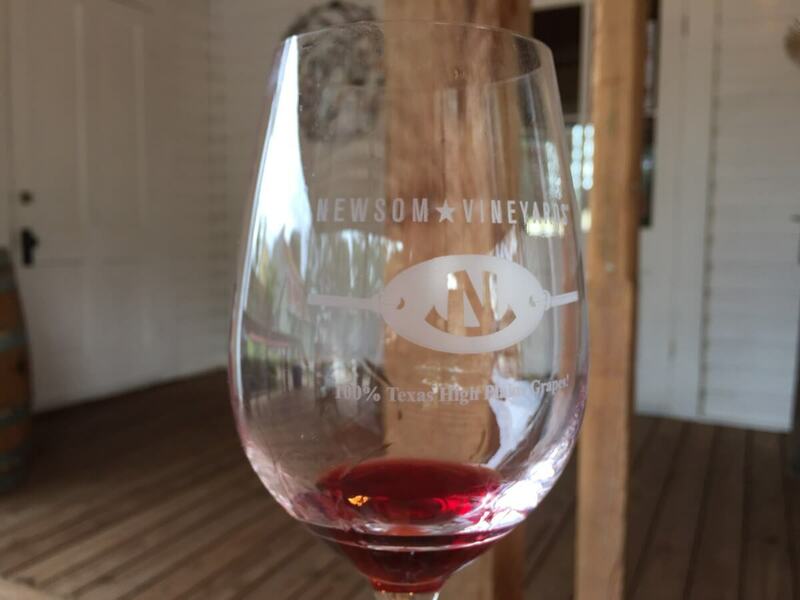 If you have enjoyed Texas wine for a while, you most likely have heard of Newsom Vineyards, maybe even seeing it on a bottle from a winery. 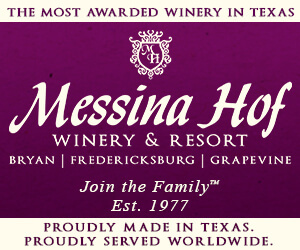 Newsom Vineyards is in the Texas High Plains in Plains, Texas, and has been growing grapes since 1986. 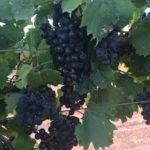 At last count, Newsom Vineyards is growing 145 acres of grapes in three different blocks. 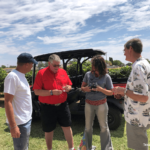 The Newsom family, Neal, Janice, and son Nolan with his wife Yanmei, have been very predominant in the Texas wine industry from providing grapes to wineries, owning a bed and breakfast, hosting Newsom Grape Day which is a yearly grower’s educational event, and much more. We once stayed at the Newsom’s bed and breakfast and Nolan was responsible for cooking the breakfast. That is until now. 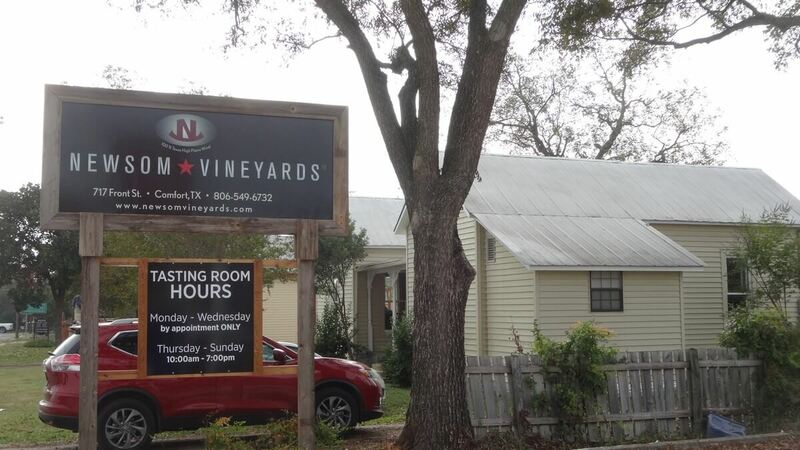 There was a lot of excitement from Texas wine consumers when they learned that Newsom Vineyards would be opening a tasting room in Comfort, Texas, and Nolan Newsom was responsible for the tasting room. 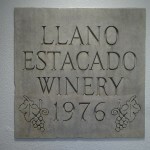 Nolan found an old 1910 building in town, and along with Yanmei, they started renovating it to become a tasting room. 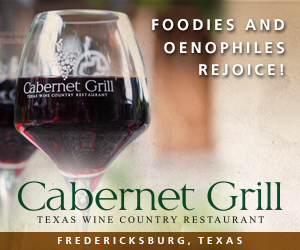 The expectation was to open Labor Day weekend of 2016, however the necessary TABC permits did not come through in time. The tasting room still opened then, but they were unable to sell any wine. We made the trip and through the kindness of nearby Branch on High and the generosity of some Newsom friends, people were able to taste some of the wines. 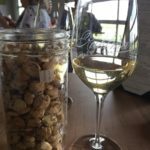 At the beginning of November, all the permits were in place, more renovation done, and Newsom Vineyards at Comfort opened. 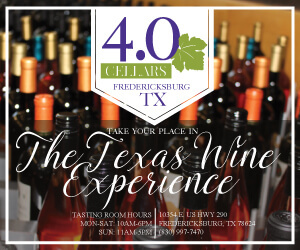 Fortunately, I was going to be in Fredericksburg for two conferences at that time, and went earlier to start my weekend visiting the tasting room. I arrived in Comfort soon after the tasting room opened and the first situation was trying to find a place to park. There is not a dedicated parking lot and even though a couple cars were parked on the grass in front of the tasting room, I finally chose to take the dirt driveway next to the tasting room which leads to the backyard and park there. 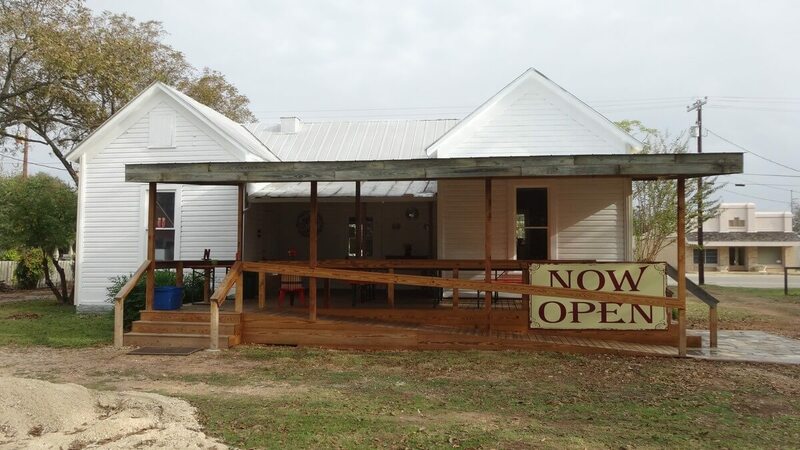 The back porch of the tasting room has a number of tables for enjoying a glass of wine. 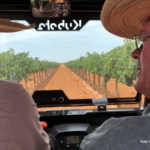 Upon entering the rear door of the tasting room, you enter a currently empty room except for a TV on the wall providing a slide show with various views of Newsom Vineyards. The tasting bar is to the right and some construction was still occurring making the tasting room even better. I saw Nolan Newsom and since TWGGA’s Grape Camp was going to be the next day, I was not too surprised to see Neal and Janice Newsom also. We had a quick greeting because Nolan had me started on a tasting. 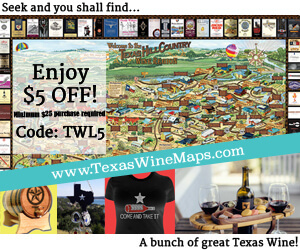 Of course, all wines are Texas wines because all grapes come from Newsom Vineyards. 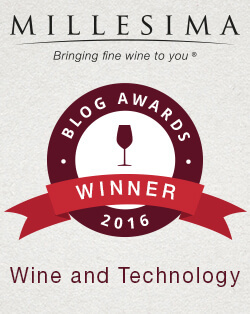 The Newsoms have come up with a novel idea to make their wine since they are primarily growers instead of winemakers. 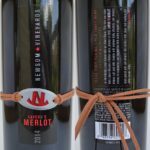 I should clarify that though, because Nolan’s wife Yanmei is a winemaker, but at least the initial Newsom wines are being made from some of the top winemakers at wineries in Texas who have used Newsom Vineyards fruit: Llano Estacado Winery, Flat Creek Estate, Pedernales Cellars, Bending Branch Winery, and Calais Winery. The goal is to eventually have 18 wines, and some of those will be coming from different winemakers. After tasting the first wine, Neal suggested we sit outside on the porch. Nolan soon joined us and they explained the plans for the backyard and the surrounding area in Comfort. 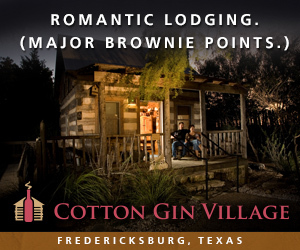 The current plan is to have a green space area behind the tasting room with a gazebo. 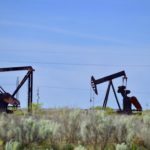 On one side of Newsom Vineyards at Comfort is Hill Country Distillers and a brewery will be opening on the other side hopefully at the beginning of 2017. 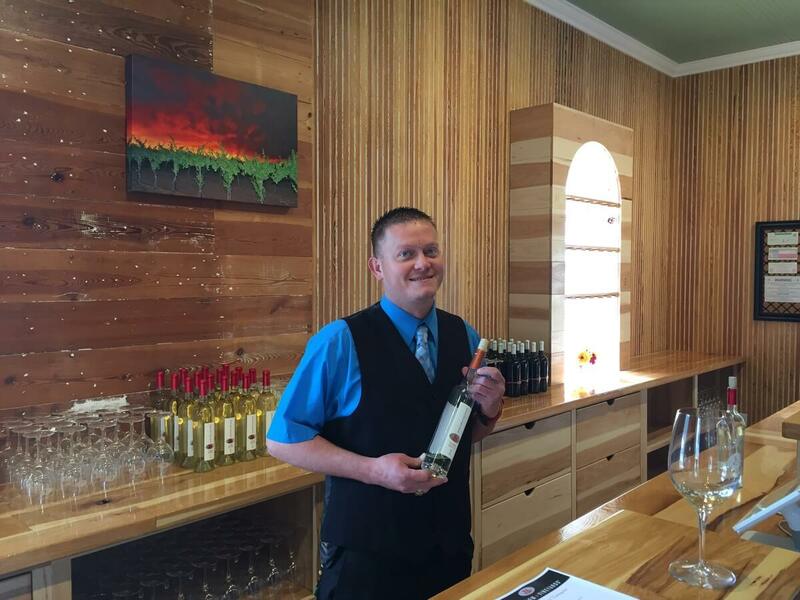 A wedding event center will be built off High Street where the majority of shops and businesses are in Comfort, and also visible from Newsom Vineyards at Comfort. There is already one sidewalk connecting the tasting room to High Street and more sidewalks will be built connecting all existing and new buildings. 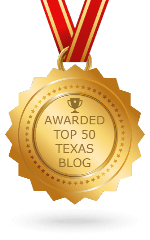 Parking will be a little difficult because it will be mostly street parking, but the eventual plan will make Comfort, Texas more of a destination than it currently is. As I sat with Neal on the patio, Nolan continued my tastings there. 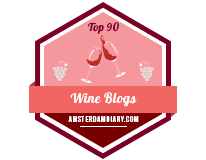 I did not have any doubts as to the quality of the wines knowing where the fruit came from and the winemakers making it, so it came to no surprise I was not disappointed at the end of the tasting. Unfortunately, I had to leave for an appointment, so I said my goodbyes to Neal and Janice along with Nolan and Yanmei Newsom. 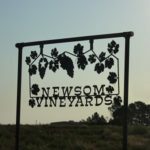 With the continual renovation and additional wines to be released, I look forward to my next visit back to Newsom Vineyards at Comfort.